The ECONNECT Project's emphasis is the implementation of measures in pilot areas. This will be achieved by identifying obstacles and carrying out the first actions to improve or create ecological connectivity and implementing effective strategies for multi-stakeholder community involvement. This strategy and the following action plans will be implemented in 7 pilot regions. 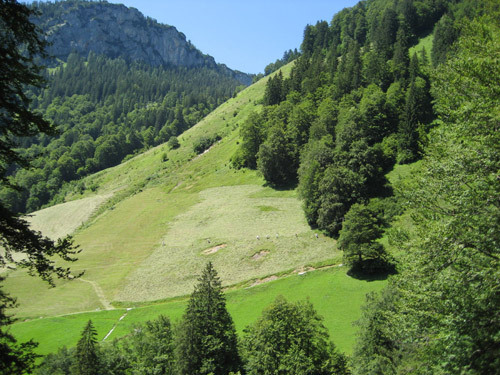 The realisation of an ecological continuum and the reduction of fragmentation will be implemented in these areas, leading to concrete spatial links (corridors) and measures in favour of the establishment of a pan-alpine ecological network. The transboundary area Berchtesgaden - Salzburg. 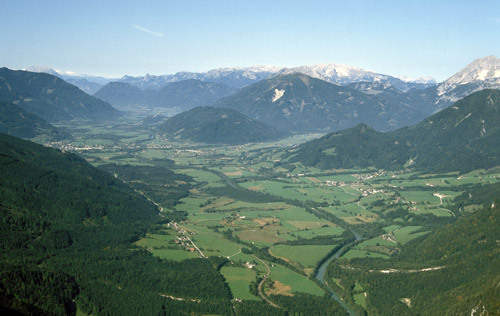 The transboundary region Berchtesgaden - Salzburg comprises parts of the Free State of Bavaria (Germany) as well as the federal state Salzburg (Austria). 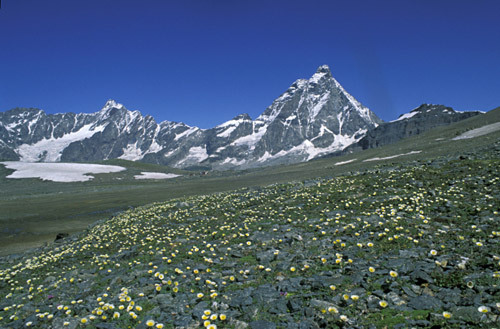 It is characterised by a mosaic of pristine alpine habitats and cultural landscapes showing a broad spectrum of rare plant and animal species as well as typical alpine dynamics. 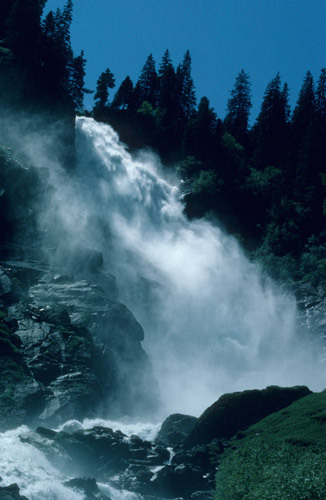 Several protected areas are located in the region. 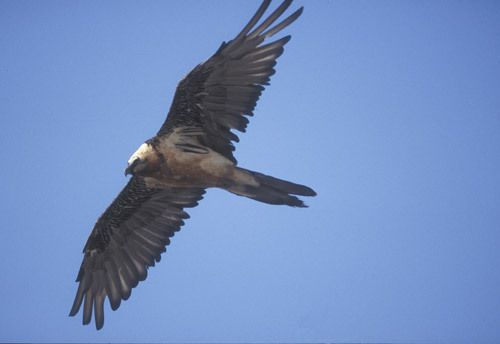 They are particularly suited as initial points for developing integrated approaches to biodiversity conservation. 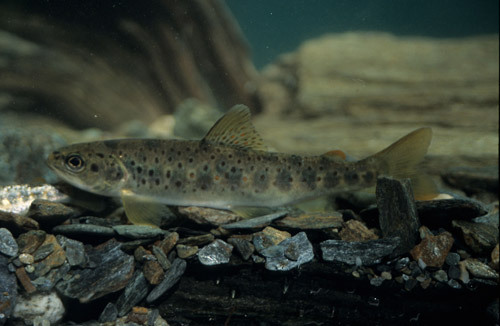 As the region is of high ecological significance and part of one bio-geographical area, cooperation towards establishing an ecological network is essential. Further action can be facilitated by continuing existing projects, e.g. in terms of data exchange and collabartive research. 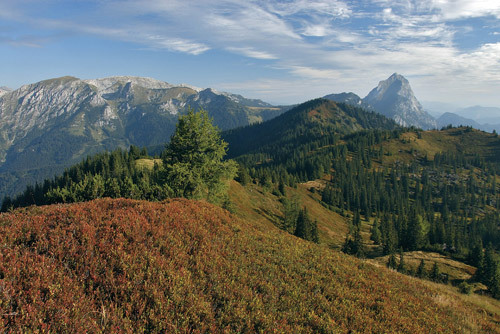 Based on a strong cooperation between Berchtesgaden National Park, Biosphere Reserve Berchtesgaden and Nature Park Weißbach as well as several nature reserves, action towards enhancing ecological connectivity is to be regarded in the frame of ECONNECT. 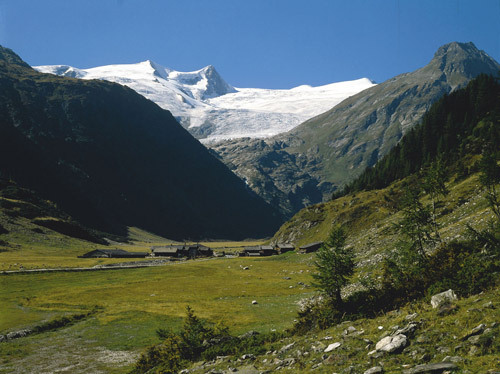 A close collaboration and in depth coordination with the adjacent pilot region "Hohe Tauern" is intended throughout the planning process. 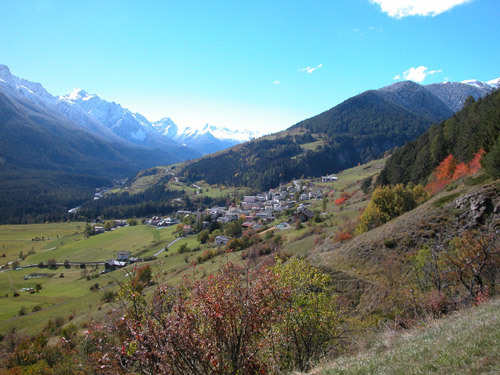 The Departement Isère lies in the French region of the Rhône-Alps. 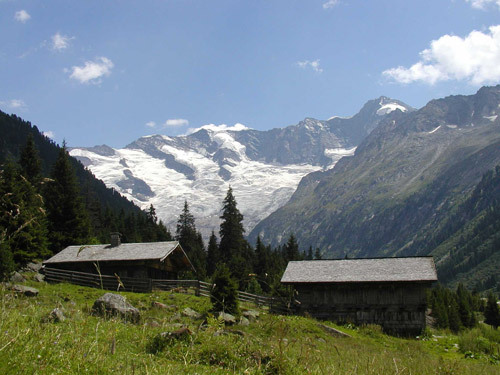 The region is characterised by the outer Alps' densely populated valleys. Especially in the valleys there is a need for action to avoid the development of a continuous settlement belt from Valence to Geneva. 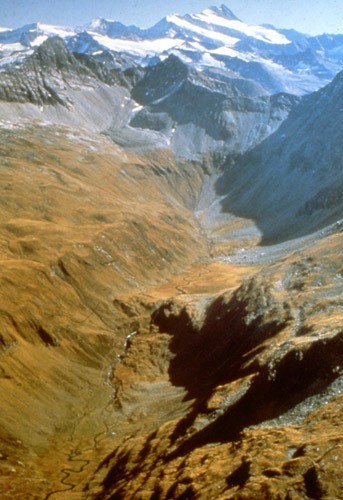 The valleys are important migration routes for the entire Alpine region, especially for migratory birds. 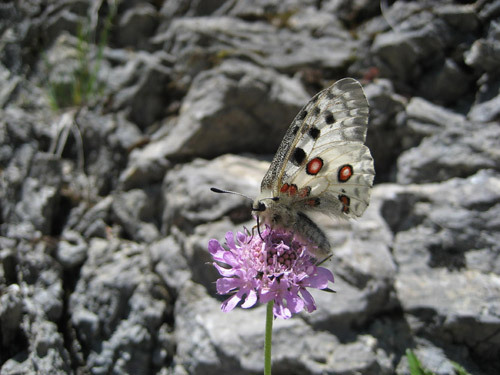 Furthermore they play an important role for local migration of selected species in between the numerous mountains and the large protected areas in this region (National Park Les Ecrins, Natural Parks Vercors, Chartreuse, Bauges). 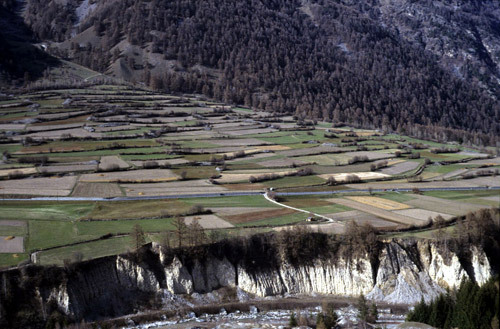 The Department Isère works on ecological networking since 1996. In 2001 a map of the ecological networks of the department was produced. Since then several activities have been carried out to implement important networks previously identified (green bridges and tunnels, speed limits on important road sections, public relations, consideration during planning processes). 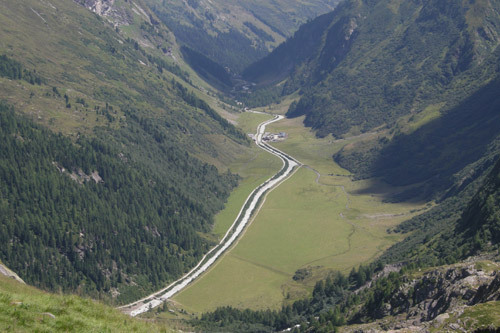 The department is now launching an European project on a large scale (70km) to protect the connectivity between the 3 massifs. 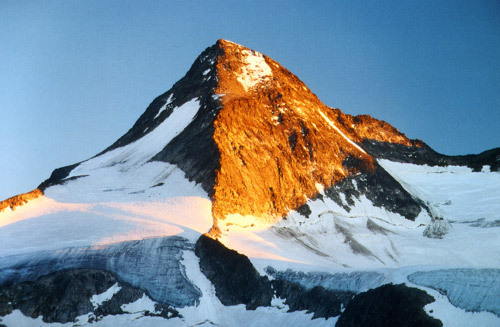 It also aims to integrate its action into a wider alpine frame. Experiences gained in the department and outcomes achieved through previous projects can be shared with other pilot regions. 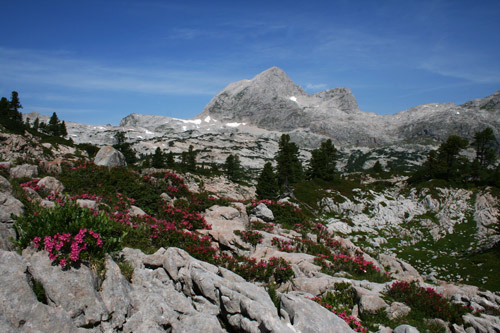 The "Northern limestone Alps" region. The project region is shaped by its common history of the cultural area "Eisenwurzen" and its more than 800 years of utilization. Even today the region shares a common cultural and economic space. 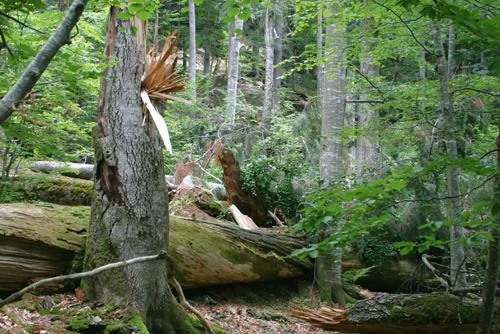 It touches three "Bundesländer" as well as more than 25 protected areas with more than 200.000 ha. The region is characterised by vast areas with a low settlement density and a low degree of fragmentation, a large share of forest (>80 %), a densely structured cultural landscape and rich biodiversity. 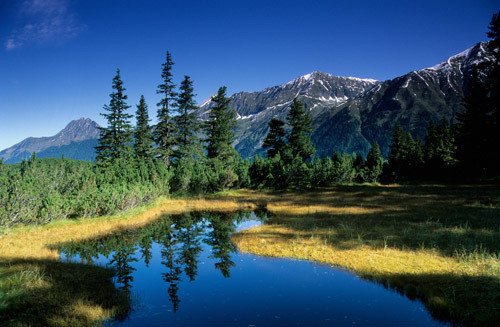 This region is also important as a connection with other alpine parts as well as with the neighbouring massifs of the Carpathian Mountains. 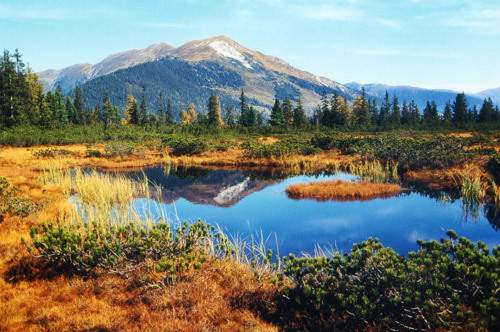 During a first workshop in October 2006, a common initiative for building an ecological network was founded by the protected areas of the region. After three additional information events, interviews of approx. 150 stakeholders are carried out. 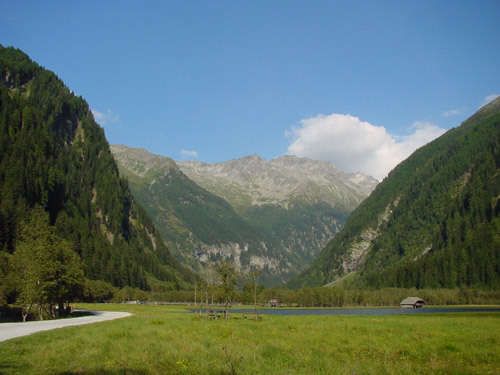 The first one extends from the Po-Plains along the Adige-valley over the central Alps to the Inn-Valley (Engadin in Switzerland and the upper Inn Valley in Austria). Here, migration paths from the east and south are present and mostly determined by geographic/topographic characteristics. 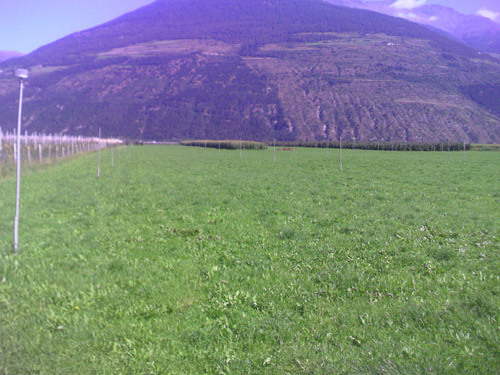 Networks are of particular importance in the densely populated and intensively used Adige-valley (fruit-growing). 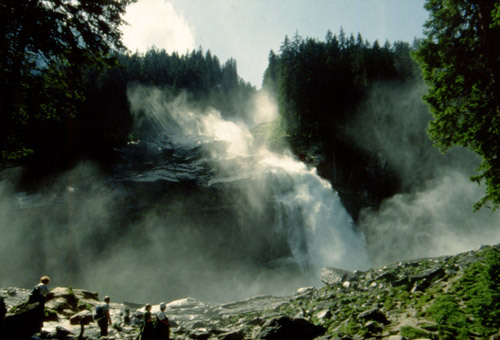 The second important area is situated between the existing protected areas like the Swiss National Park and the National Park Stilfserjoch, the Biosphere Val Müstair, the Natural Park Kaunergrat, Adamello and Adamello Brenta as well as parts of the south Tyrolean Natural Parks. In this area a more administrative and legal aspect is envisioned, aimed at developing a connection between the existing protected areas. The first workshop with participants from all involved countries and from different affected sectors (agriculture, forestry, spatial planning, nature conservation, etc.) took place in October 2008. The ecological network shall be promoted by strong international cooperation and by the coordination of different sectors. 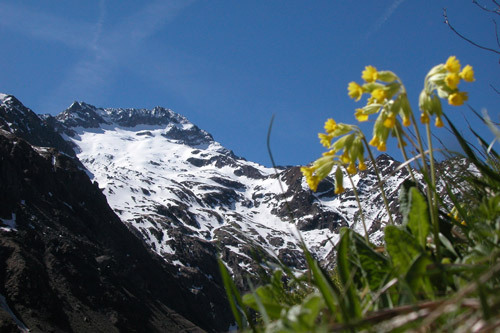 In this region the south Tyrolean Natural Parks as well as the National Park "Hohe Tauern" build the largest cohesive protected network area in the Alps. 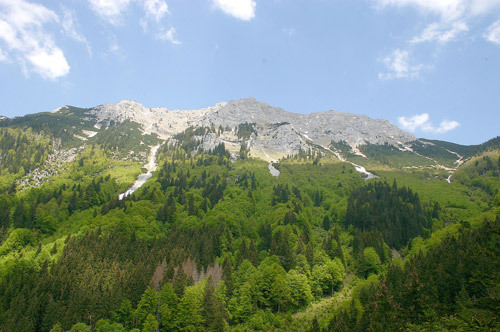 Therefore this region is central for the alpine arc and an important intersection between the northern Alps and the southeast foothills in Slovenia which are particularly important for large birds of prey. 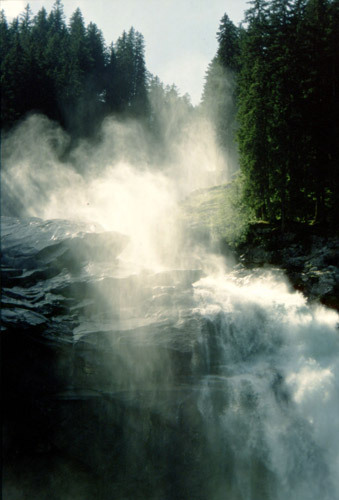 This area also represents the transition from the greater areas of the dolomites to the "Hohen Tauern". 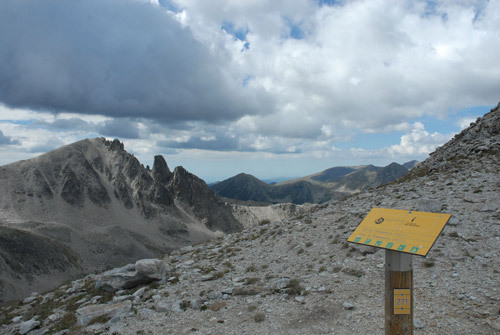 The southwestern Alps - Mercantour/Alpi Marittime. 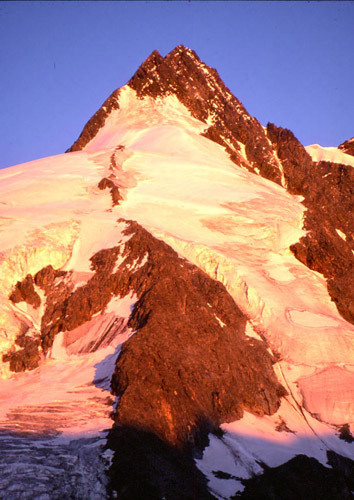 This pilot region is located at the southwest end of the alpine arc in the French region Provence-Alpes-Côte-d'Azur and the Italian region Liguria and Piedmont. 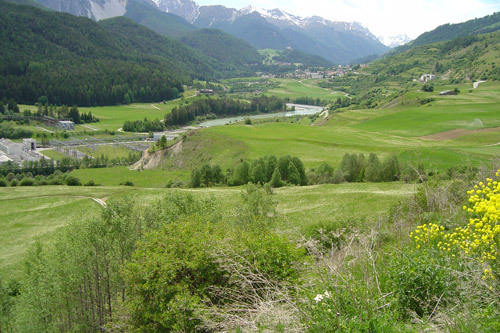 The Natural Park Alpi-Marittime on the Italian side and the National Park Mercantour on the French side together form one geographical unit. Both regions are also close to each other culturally, so that one may refer to it as a single local unit. Therefore the transboundary cooperation in this region has a longstanding tradition. 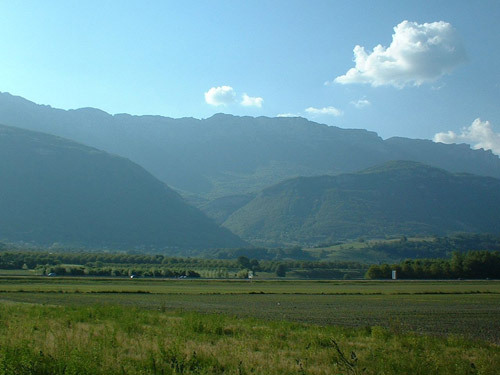 The area plays an important role as a connection to the other Italian mountain ranges (Apennines). 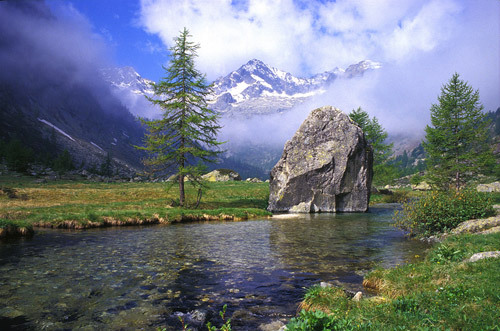 This pilot region is situated in the Italian-Swiss borderland, in the north-east of Valle d'Aosta. 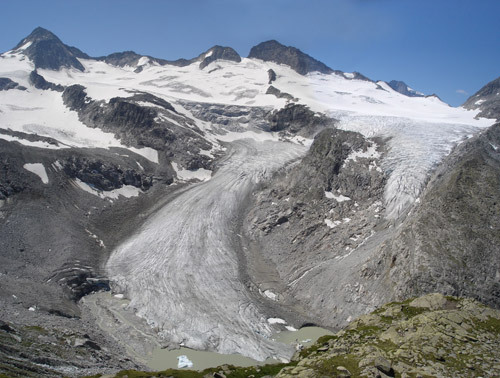 It corresponds to the Site of Community Importance and Special Protection Area "Ambienti glaciali del Gruppo del Monte Rosa". 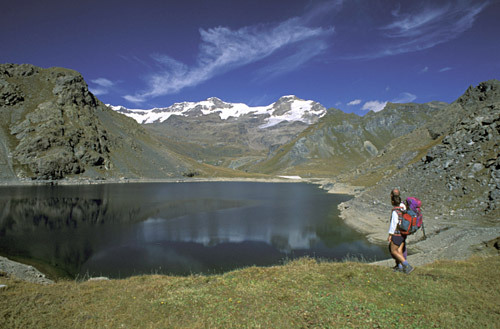 This site covers the entire Valle d'Aosta side of Monte Rosa with the heads of the valleys of Ayas and Gressoney and the areas of the ridge between the basins of Valtournenche, Breuil and Cime Bianche. The site hosts the priority habitat "Limestone pavements" and several biotopes of particular vegetation interest. 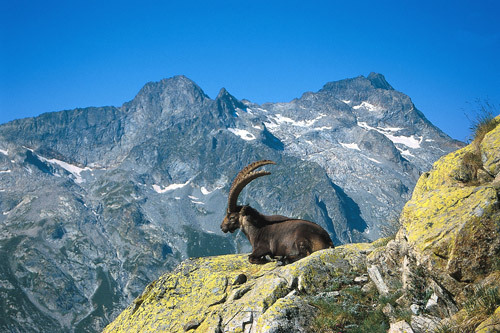 The area is an important migration path for the populations of ibex between Switzerland, Piedmont and Valle d'Aosta and will be studied in order to maintain and improve ecological connectivity in the area.